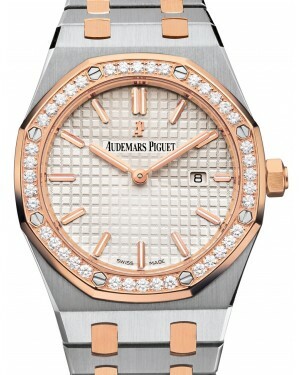 The Audemars Piguet's Ladies' Collection has been designed to convey ideas of femininity, strength and sophistication, and the watches are constructed from the finest materials, using top quality movements. 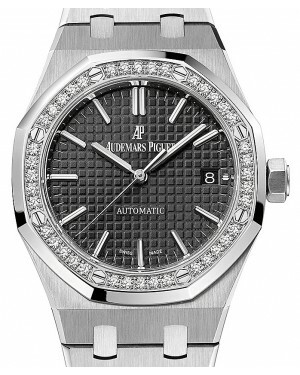 The range of ladies' timepieces includes models within some of AP's most famous collections, including the Royal Oak, Royal Oak Offshore and Millenary lines. The most famous of these is the Royal Oak Ladies collection, which has achieved iconic status thanks to its distinctive octagonal case and eight industrial style screws. 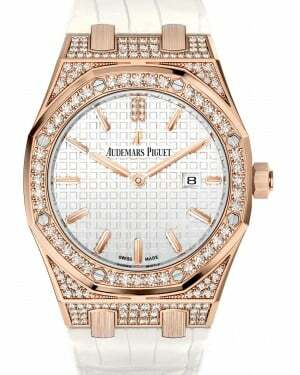 Some of the most expensive and extravagant Audemars Piguet ladies' watches are decorated with brilliant cut diamonds, further enhancing their femininity and allure. 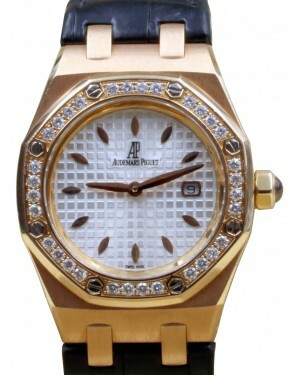 The luxury Swiss watch company Audemars Piguet launched its Royal Oak collection in 1972. Designed by Gerald Genta, the collection broke watch-making convention, is recognised as the first luxury sports watch constructed from stainless steel and is defined by its iconic appearance, which includes an octagonal bezel and a tapisserie dial. 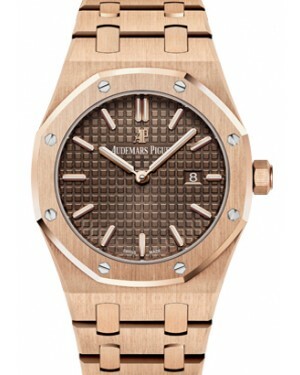 AP's Royal Oak would soon emerge as the brand's flagship model and a ladies' version was introduced soon after. 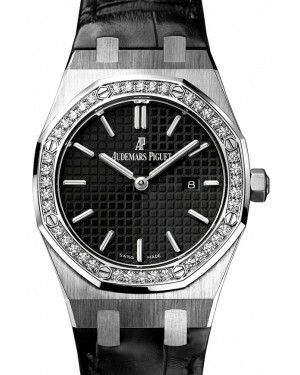 In this article, we take a look at the history of the Royal Oak Ladies' collection, as well as some of the other women's watches produced by Audemars Piguet throughout the years. 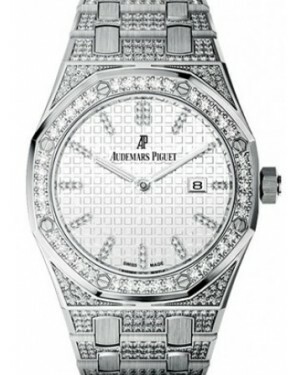 Although Audemars Piguet began making watches back in 1875, one of their first major successes was the launch of a range of women's wristwatches, which were made available to the public in 1918. These feminine timepieces were set with precious stones, giving them a clear luxury aesthetic. 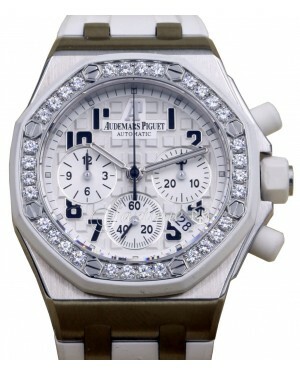 The brand released its signature Royal Oak collection in 1972 and followed this, in 1976, with the unveiling of a special ladies' version, designed by Jacqueline Dimier. Created specifically for women, rather than being adapted as an after-thought, these models were made from precious metals and featured smaller cases. 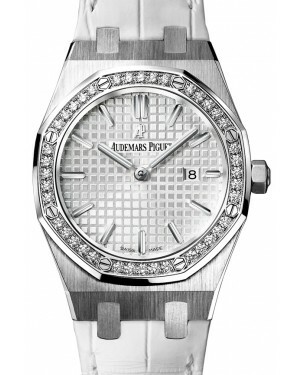 Over time, the Royal Oak Ladies' collection expanded to include new versions, many of which featured diamond bezel inserts. 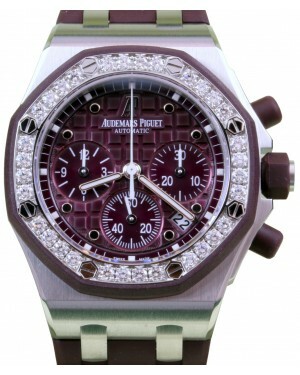 Then, in 2000, AP released the rectangular Promesse collection. The early models were constructed from 18k white gold, but new versions were added in subsequent years, including bejewelled models. 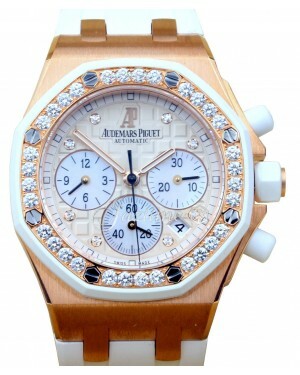 In 2004, Audemars Piguet launched its 'Femmes du Monde' (Women of the World) advertising campaign, giving women's watches a greater emphasis over the course of the year. This led to the release of several new ladies' models, including the square-shaped Deva, Myriade and Danae lines, as well as stainless steel Promesse watches. 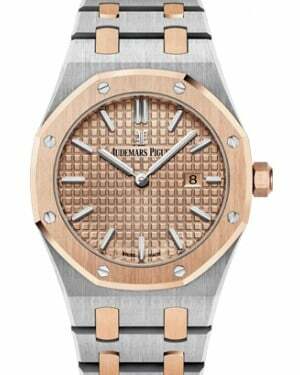 Audemars Piguet opted to mark the 40th anniversary of the release of the first ladies' Royal Oak watch in 2016, with the release of four new Royal Oak Ladies' watches, created in partnership with Carolina Bucci, each with a frosted gold finish. This finish, known as the Florentine technique, gave the models a sparkly appearance. 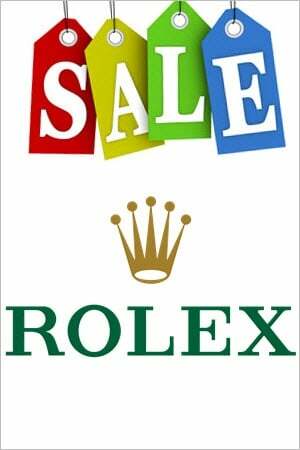 The models are available in a choice of white gold or rose gold and come with either a 33mm or 37mm case size. Aside from the frosted finish, the watches maintain the traditional Royal Oak aesthetic, including the tapisserie dial, and while the 33mm models have a Quartz movement, the 37mm timepieces use the in-house calibre 2713.